Four graduates of FamilyFarmed’s Good Food Business Accelerator (GFBA) program related their experiences during a panel discussion Tuesday (Sept. 13), at an event to promote applications for the third cohort of competitively selected entrepreneur Fellows. All of them have different kinds of businesses. Josh Katt’s Kitchfix is developing a retail market for his grain-free granola to go with his Chicago-area service delivering meals made from sustainably and locally produced ingredients. Rachel Bernier-Green’s ‘Laine’s Bake Shop recently opened a retail store in Morgan Park on Chicago’s South Side while adding supermarket outlets for her artisan baked goods. Harry Carr raises livestock for meat and eggs on organic land at Mint Creek Farm in east-central Illinois. 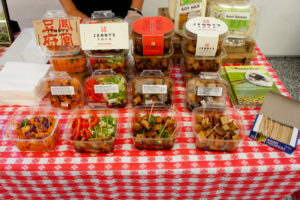 Jenny Yang’s Phoenix Soy produces and sells fresh tofu and tofu salads under the Phoenix Bean (and soon the Jenny’s Tofu) label. But one thing on which these wide-ranging entrepreneurs agreed: People with startup food businesses who want to scale up should apply for the Good Food Business Accelerator’s third-year program. The “don’t wait” part is very important. The deadline to apply for this year’s Accelerator cohort is coming up fast, on Monday (Sept. 19). Click here for an application form, and to learn more about the program, visit the GFBA website. To be eligible for consideration, applicants must meet three basic requirements. They must subscribe to Good Food principles, defined by FamilyFarmed as food produced as locally as possible using sustainable, humane and fair practices. They must be located in and serve the Chicago foodshed. 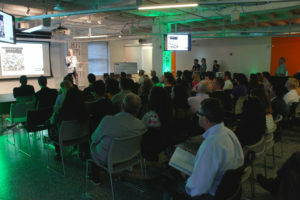 And the applicant must be willing fully participate in the intensive six-month program that will run from November until April, which includes weekly classes and seminars held at GFBA’s home base in 1871, the business incubator, located in Chicago’s Merchandise Mart, that is the city’s center for entrepreneurship and innovation. The program includes a curriculum tailored to the needs of the entrepreneur Fellows, assistance in polishing their business plans and pitches, and access to FamilyFarmed’s extensive networks of Good Food businesses and investors. 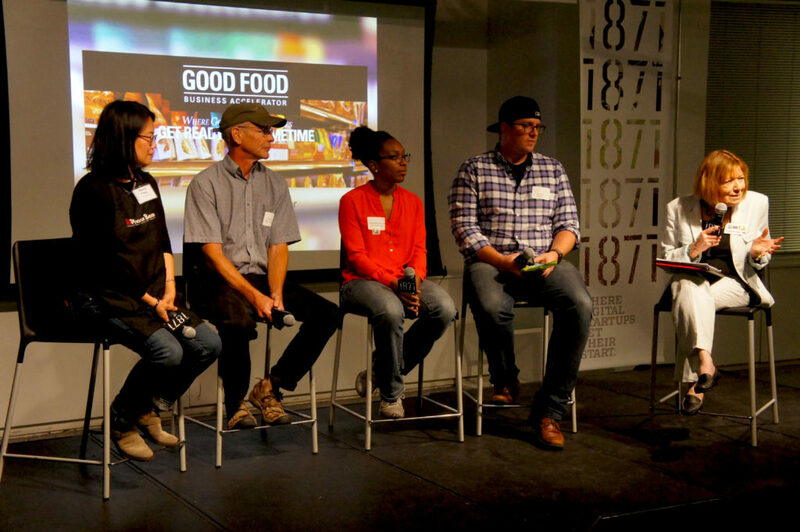 Tuesday’s event, titled the Good Food Business Accelerator’s “Application Celebration,” also featured informative talks from business leaders in the Good Food sector. 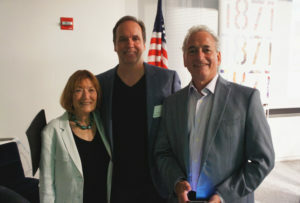 Bill Weiland of Presence Marketing, a leading investor in the Good Food space, discussed types of natural products that are enjoying fast-rising consumer demand. 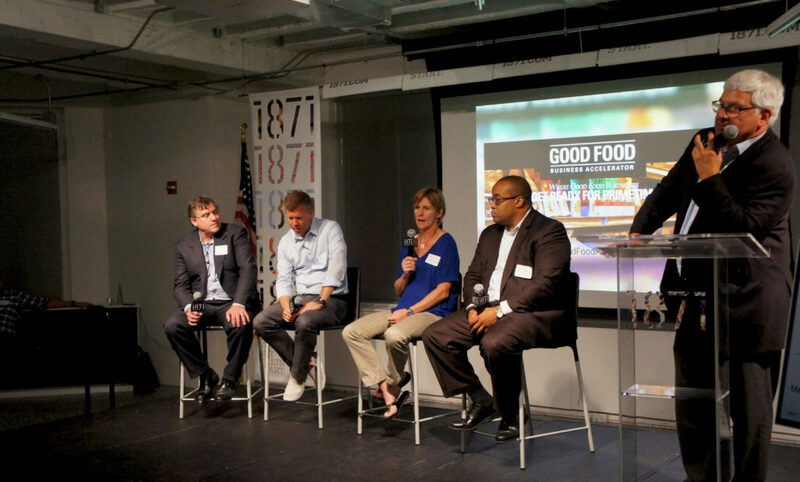 A panel of Good Food investors, moderated by Bram Bluestein of Bluestein and Associates, included Herb Henderson of Blueprint Foods; DD Danforth Burlin of SLoFIG; Stephen Gaither of JB Chicago; and Mark Thomann of River West Brands. But no one makes a better case to those thinking about applying to a program than its alumni, who derived significant value that has helped their businesses to grow. So the graduate Fellows panel, who appeared last in the hour-long program, had no trouble holding the attention of the audience. Katt — who told potential applicants, “You should definitely do it” — continued by saying, “The term ‘accelerator’ is really what it is.” He noted that Kitchfix granola, in 30 to 40 grocery stores when he joined the second GFBA cohort in November 2015, is now in 200 stores. “Every time we had class on Monday, I’d go back to my office on Tuesday and really start to apply those things,” Katt added. The benefits to Yang’s tofu business have been so big that they made news in the Chicago Tribune in July. Through the GFBA’s networking assistance, Yang connected with the U.S. Small Business Administration, which helped her obtain a $1.5 million loan from Chase Bank to finance a much-needed expansion to keep up with demand for her products. She will use the money to build a 10,000 square foot production kitchen that is five times larger than her current facility nearby in Chicago’s Edgewater neighborhood. Carr said the program forced him and his grown children, who are employed helping to run Mint Creek Farm’s operations, to find time for the kind of strategic meetings and interactions that are easy to overlook in the busy daily work of farming. “It helped us focus and brainstorm about what we were doing, how we were doing it, and how we were going to move forward to succeed… Having those every Monday meetings were awesome in terms of focusing,” Carr said. As a result of their participation in the Accelerator program, the Carrs determined that an ambitious plan to build their own processing facility was premature, and instead focused on improving their management of their livestock. They ended up applying for and receiving a grant from the Frontera Farmer Foundation, a nonprofit associated with Rick Bayless’ Frontera group of Mexican restaurants, that enabled Mint Creek Farm to greatly expand its egg business. We think these GFBA graduates make an excellent case to other businesses that they should apply (by Monday) for the upcoming Accelerator program. This entry was posted in Direct Farm Marketing, Family Farms, Farm businesses, Farmer training, Financing, Food Entrepreneurs, Frontera Farmer Foundation, Good Food and economic development, Good Food Business Accelerator, Good Food business development, Good Food Success Stories, Livestock farming, Local Food, Regional food systems, Small Farmers, Supply chain, Sustainable food business investment and tagged 'Laine's Bake Shop, 1871, Blueprint Foods, Bluestein and Associates, FamilyFarmed, GFBA, Good Food Business Accelerator, JB Chicago, Kitchfix, Mint Creek Farm, Phoenix Bean tofu, Presence Marketing, River West Brands, SLoFIG. Bookmark the permalink.